Deep in the heart of the Frank Church Wilderness, Lower Loon airstrip provides access to beautiful hikes along both the Middle Fork of the Salmon River and up Loon Creek itself. A short, twenty minute walk up the Loon Creek trail brings visitors to a wonderful hot springs. Take a soak or follow the trail further upstream and enjoy the sights and sounds of wild Idaho. Wild flowers line the route and a bridge upstream provides a great place to enjoy a snack. 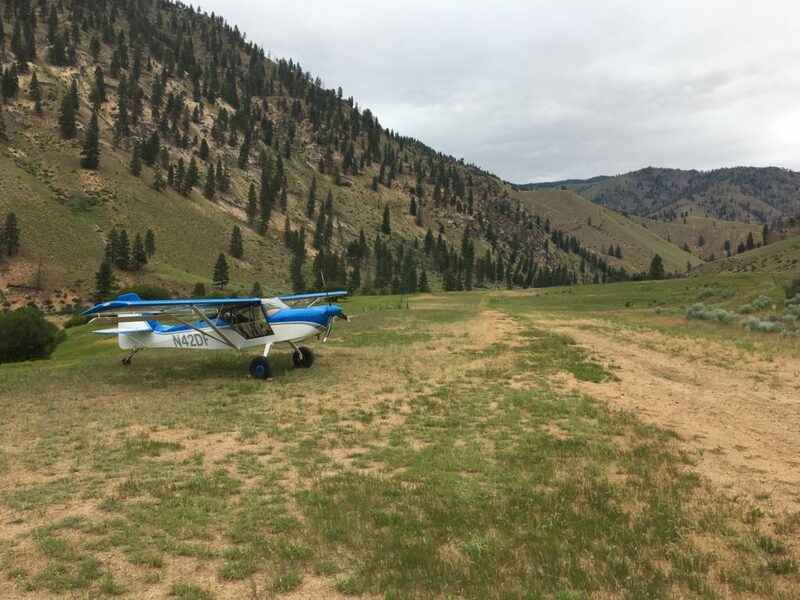 Lower Loon Airstrip – Middle Fork Salmon River. Lower Loon is a short airstrip with a challenging approach that should only be attempted by skilled aviators when conditions are right. A private ranch, operated by Middle Fork Outfitters, is found just up the hill. In days past, you could stop in and buy a breakfast or spend the night in one of the cabins. As of June 2017, the status is a bit unclear, but it is always worth checking their website, middleforkoutfitters.com, for current information.